It is well-known in Japanese history they have an imperial government which is ruled over by a single sovereign ruler, the Emperor. However, there was a long period in Japanese history when it was ruled over by the bakufu, and not by an emperor. Slowly, the Japanese Emperor started to lost power as small battles and civil unrest has caused some families to own and rule over parcels of land all over the country. Like tiny kingdoms of their own, these families known as Daimyo soon took over the ultimate seat of the Japanese government. It was known as the Feudal period of the history of Japan. This was the periods in Japan when there was still a Japanese emperor but it was truly these ‘landowners’ that controlled the government. In the year 1603, a man named Tokugawa Ieyasu became the most powerful man in Japan when its previous ruler had perished. The previous bakufu’s rightful successor has been ignored and put out of place because of a revolution that has changed the history of Japan forever. At the time when the bakufu was laid to rest, the entire country had an unrest. There were revolutions in many places and even battles to be won between the Shogunate and the forces that were loyal to the true heir of the Japanese shogunate. The Battle of Sekigahara became the last deciding battle which would influence who would get that seat of power. It was the big battle between the east and the west when the forces of Tokugawa and the forces of Toyotomi fought over the most powerful seat in the Japanese government. Throughout the battle, the Tokugawa clan showed who was supposed to be in power and defeated the army of Toyotomi. The Tokugawa period has been known in history to have a very strict regulation for the promotion of societal stability. A clear social structure has been established and was to be strictly followed for the harmony and peace over the land. However, the stability did not last too long. At the top of the societal structure would be the Emperor followed by the nobility of the court. Then this structure will be followed by the military ruling class. The first of which is the shogun, or the most powerful man of the most powerful clan. It will be followed by the Daimyo, or shogunate families and clans. These families are the lords of the lands making them the rulers of small towns and villages. Then this will be followed by the Samurai families. After the military ruling class would be the commoners. Interestingly, the bottom of the societal structure is merchants. Following the samurai in the structure would be the peasants with which the daimyo and samurai rule over. These are followed by artisans and craftsmen and at the bottom of the structure would be the merchants. This has created a huge conflict in the Edo Period society. Merchants and artisans have the ability to produce their own money through their goods, making them quite wealthy. Their wealth gives them the ability to have lifestyles as lavish as some daimyo and samurai. Because of this, laws have been made to regulate and restrict their lifestyles and to ensure that they will never be higher than the military ruling class. The role of a woman during this time was many for social status. Wives of samurai and daimyos are expected to uphold the pride, grace, and honor of the family. They are expected to submit to the male heads of the family. However, once their husband dies they can gain the leading seat in the family’s household. Oftentimes, girl children are used as pawns by their parents as a strategic element in enjoining a couple of powerful clans. This is their means of increasing and improving one’s social status or strengthen a clan’s influence. Feudalism was prevalent in Japan from the 1100s to the late 1800s, which was a seven-century rule. At this time, the land was ruled by the Emperor. It was in the early 1300s when armies formed by samurais have been sent to fight the emperor’s battles. Upon winning, the emperor has awarded the leader of the army with the title of Shogun. Being a powerful member of society, it is sure that the samurai classes and military classes have their own money to buy land. They used this to buy parcels of land and let people produce agricultural goods from it. They became landlords that imposed taxes on the people that are occupying their lands making them even wealthier and powerful. At this time, there are small civil battles that go on around the country allowing clans to attain land through invasions. This is why shogunate and samurai castles are usually well-fitted with military towers and walls. Land invasions allowed clans to gain more property, allowing them to lord over even more people. During the Feudal era of Japan, there are four noble clans which are quite powerful at the time. These clans include the Minamoto clan, the Taira clan, the Tachibana clan, and the Fujiwara clan. There are other clans as well which are known as the immigrant and native clans, these are families of samurai which have their own stronghold and influence over certain parts of the country. The Minamoto clan, also known as Genji, used to be a part of the Imperial House of Japan. However, they were demoted to ranks of nobility. They have led to the production and branching of even more popular clans such as the Matsudaira clan. The Taira clan, on the other hand, was a clan of the Japanese samurai. Just like the Minamoto, they used to be a part of the Imperial house before being demoted to nobility. The Fujiwara clan was powerful because it was a surname bestowed to them by the Emperor Tenji. They have gained primary influence by marrying their daughters to emperors through the centuries. The Tachibana clan or the Kuge clan are among those that held high positions in royal court. They were also pretty frequent position holders in the state ministries. 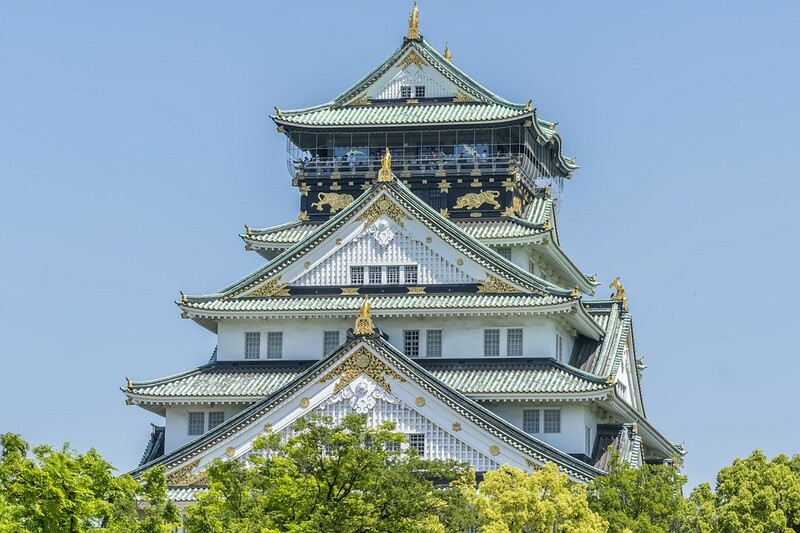 Castles have started to gain popularity in Japan in the early 1600s when structures evolved from wood to stone. Prior the Edo period, there were frequent battles over the land. However, the Tokugawa has persisted in Japanese history to be a two-century long peace. During this time, ruins of Japanese castles had the chance to be refurbished, enlarged, and expanded. The Daimyos used their castles as a representation of their wealth and power leading to lavish castles. Non-feudal places like Kyoto still had very lavish castles within their perimeters, but at a much fewer number than in other places. In fact, these lavish castles with high walls, large gates, and towers played an important role in the resistance to the Meiji Restoration. The military prowess of these structures proved important in the stronghold of the shogunate, although they fell to the powers of the restoration as battles broke out in Kyoto in the late 1800s. It was during the Momoyama period when silk-making rose in popularity in Japan. As that period ended, it was the Tokugawa period that reaped all the benefits. Using these new silk-making techniques, the small details in normal kimono was transformed and a fashion revolution has taken place. Edo Period Kimono are well-known to have large patterns which are asymmetrical in design. Kimono makers have employed silk dyers and painters to make their clothing much more robust and rich than the previous period. These clothing were only available to the ladies of a samurai household. Because trade and mercantilism had such a good influence in the Edo period, artisans and merchants started to become a wealthy class of their own. Since such fine things are available only to women in samurai households, merchants are left to deviate and create their own. They hire personal painters, weavers, and dyers to create for them unique sets of kimono clothing. Some had metallic leaves hanging about their kimono and some are even adorned with gold threads. This made certain kimono making practices quite expensive and the ability of merchants to purchase these kinds of clothing shows that the lower classes may be equal to or wealthier than the samurai family. Because this is an indication of artisans’ and merchants’ influence and wealth, the shogunate then replied with stricter regulations and laws regarding clothing distinctions between classes. Merchants were then restricted to use specialized tie-dye techniques in their clothing. However, it only made the clothing even more popular and the restrictions much more difficult. 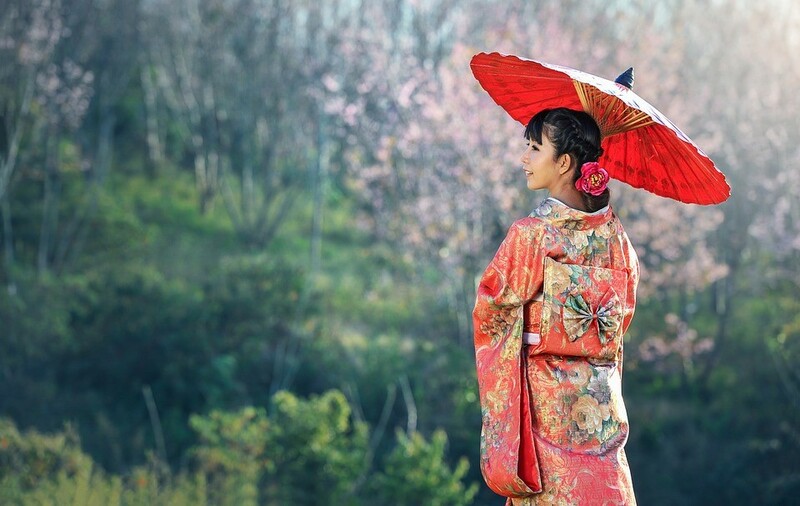 Through the centuries, there had been structural changes in the Kimono as well. The position and the length of the sleeves became a status symbol and an indication of the ability of a woman to get married. Furthermore, a wider and larger Obi had started to become popular to adapt to the proportions of the structural changes of the Kimono. Since the Obi has now become a centerpiece of clothing, it has become one of the artsier pieces of women’s clothing at the time with varying designs and color. During this time, battles and conflicts were not so common anymore. This means that the samurai does not need to wear elaborate warrior gear on a daily basis, ready to run to battle. 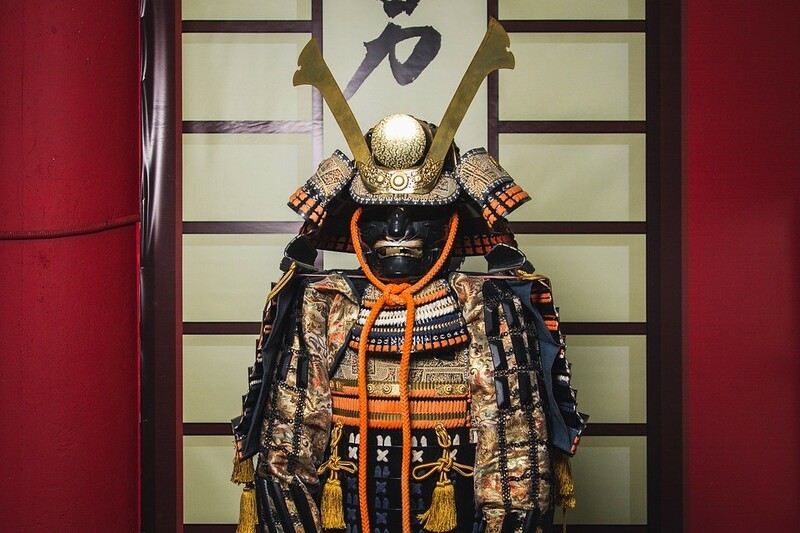 At this time the samurai wore very elaborate daily clothing to create a distinction between them and other classes. It is a sign of their status and popularity. It is said that the Tokugawa period is among one of the most fashion forward eras in Japanese history to the point that even the men had pretty wild fashion tastes. The patterns were unique, the colors were much more profound and the structure of clothing was also different. The kamishimo’s structure had made men’s clothing more expanded and elaborate. The embroidery was also well decorated. Men’s clothing also was longer which made a portion of it trail behind the wearer’s back similar to how the kimono was worn at the time. Again, to make a distinction in clothing between the classes, the mercantile men were only allowed to wear shades of brown, blue, and black. 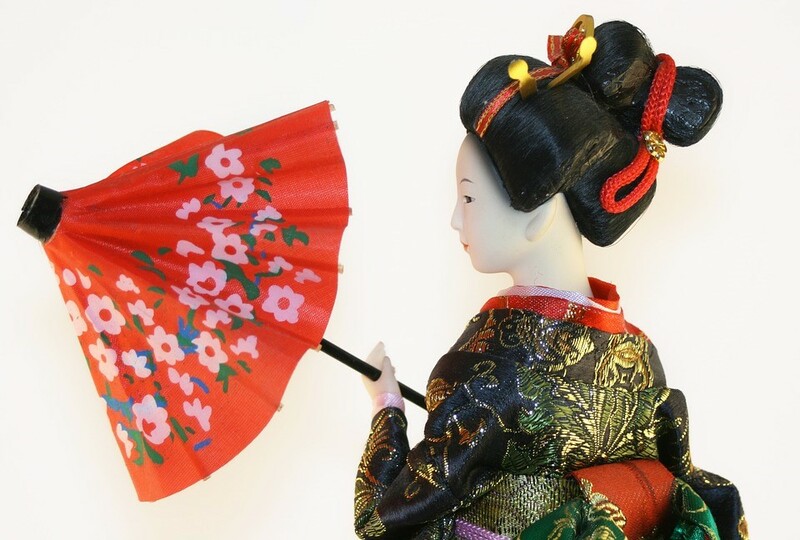 For a woman, the typical hairstyle during the Edo period is called Shimada. The hair is tied together in a chignon style bun at the crown of the head, a common description of the Shimada's hair. Nowadays, it is a common wig worn by geishas however during the time this is the typical hairstyle worn by girls. Edo period art may be one of the most documented out of all periods of Japan. There are numerous museums, universities, and exhibits that show the world the beauty of Japanese art at this time. Since it was a period of peace, the Japanese government was able to focus on economic growth, foreign policies, and more. People at the time were able to enjoy theater, art, and culture. The Edo period is such an important time in Japanese history that it is still strongly depicted in many of the modern shows of today. These include the famous anime Rurouni Kenshin, Gintama, Blade of the Immortal and much more. These show how a person can live during the Tokugawa period, it showed the culture, the art, and more.